Searching for Volosko on a map/in your GPS will often give you no returns. It’s because Volosko is part of Opatija. While Opatija is nice, it definitely lacks the charm of Volosko, as it has been developed into more of a holiday resort. If you need to get to the seaside at least a few times a year, this is for you. 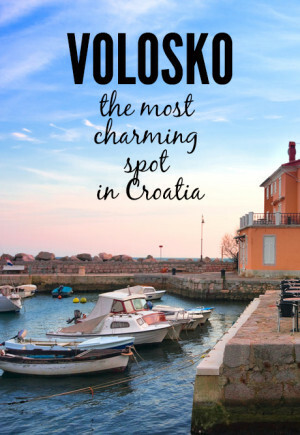 Volosko is a beautiful little fishing village, with stone-paved paths and a cool local flare that many travelers enjoy. There are several art galleries around the little town and it’s easy to see why the environment appeals to artists. One of Croatia’s most significant scientists, Andrija Mohorovičić, was born here and you can see his legacy everywhere. The locals are surely proud their little Volosko was a home to such a world famous persona. There’s a street, a restaurant and apparently even a Moon crater named after him. Mohorovičić became famous for discovering a discontinuity separating the Earth’s crust from its mantle. The layer is also named Moho after him. 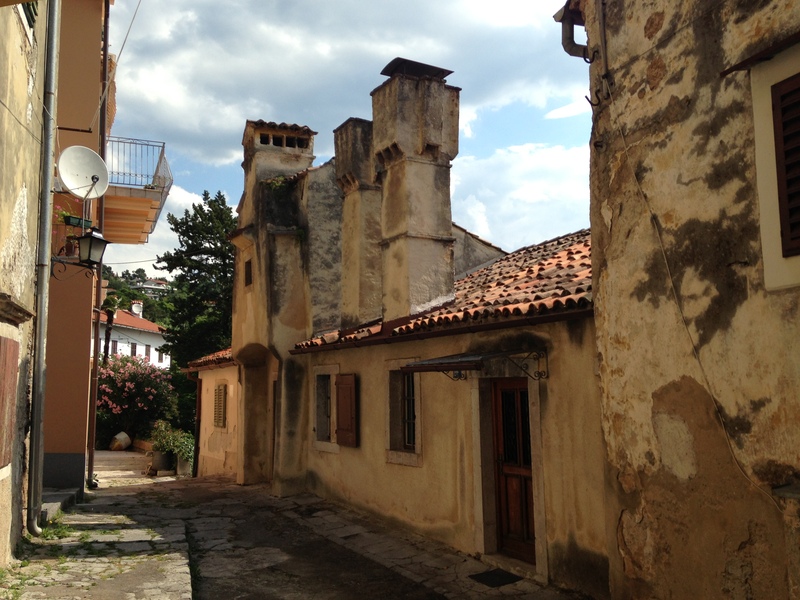 Volosko is great for walking, admiring the old buildings and relaxing in bars and restaurants. 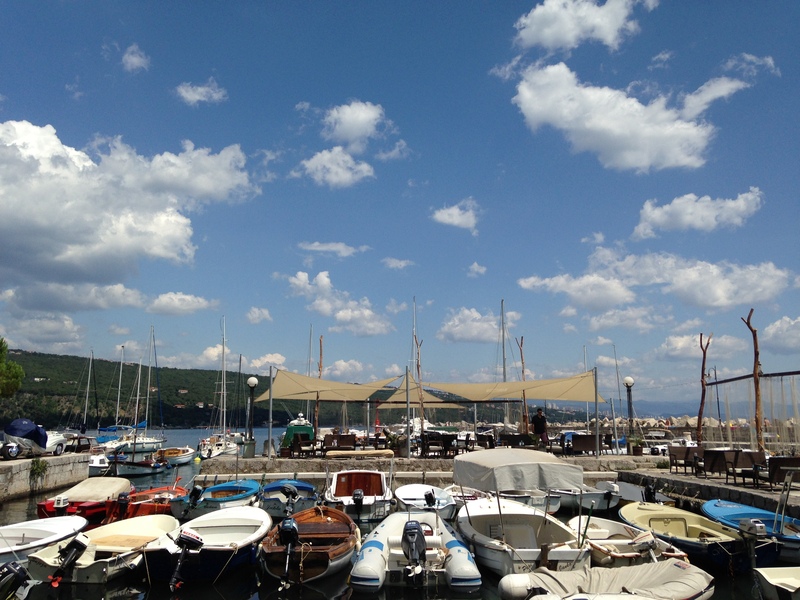 Volosko’s little harbor, with several good restaurants and a great cocktail bar is a real good spot for people watching. There are also many cats that make Volosko their home and can be found lying around during the day and fighting at night. Quite a popular night entertainment is just to watch local kittens play. If you fancy swimming in the pleasant Adriatic sea, you can jump in from one of Volosko’s piers or enjoy the small beaches. For bigger beach areas, you just need to move closer to Opatija. Another major pastime for locals is walking along the coast. 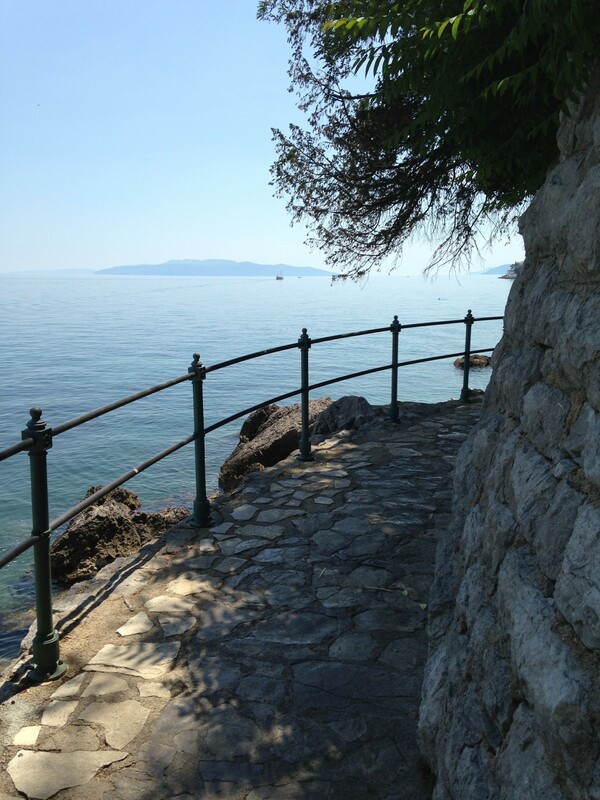 There’s a long promenade that you can take from Volosko to Opatija (3 km) and even all the way to Lovran; 12 km in total! The views are beautiful, you’ll get to see a lot of the sea, picturesque villas lining the promenade, and some impressive hotels. All making it perfect for a stroll anytime of the day. Check out all the points of interest on Lungomare. This pizzeria is named after Mohorovičić, the city’s biggest celebrity scientist. People from Volosko are very proud of that guy :) Moho serves up good pizza, pasta, and salads at a relatively low price. Kont-Tikki is by far the coolest bar with a large selection of drinks, both alcoholic and non-alcoholic. Their wi-fi is pretty fast and they even have a beautiful seating area right on the pier, with fishing nets serving as a stylish décor. Translated as Blue Cellar in English, this restaurant is always full despite its high prices. The food is great; they put truffles into almost everything. This is a simple seafood restaurant that’s very authentic. You can choose from a wide variety of fresh fish, shrimp, squid, etc. and they’ll prepare it for you on the spot, together with some tasty side dishes. This restaurant is as authentic as it gets. Tramerka is set in a cave-like space. 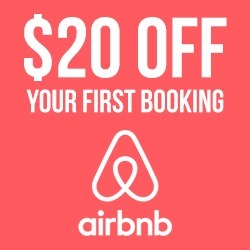 It’s tiny, so you should book a table in advance. The meals are delicious, although a bit pricey. Tables outside seem to get preferential treatment, so you better sit there. There’s a menu but they don’t always have everything, the waiter will assist your choice. This tapas restaurant is definitely something unique. They’ve got quite a selection of delicious dishes featuring foie gras and other exotic ingredients. The prices are in the upper mid range, but so much worth it. For me, this is the best place for a light lunch, as they have many meals in the tapas size! 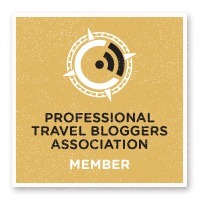 And where to stay? We totally love the apartments that are available on Airbnb. See our post with all Airbnb reviews, including two Volosko apartments! If considering Croatia, leave Dubrovnik to the crowds this year and go explore the tiny and charming village of Volosko. You won’t regret! 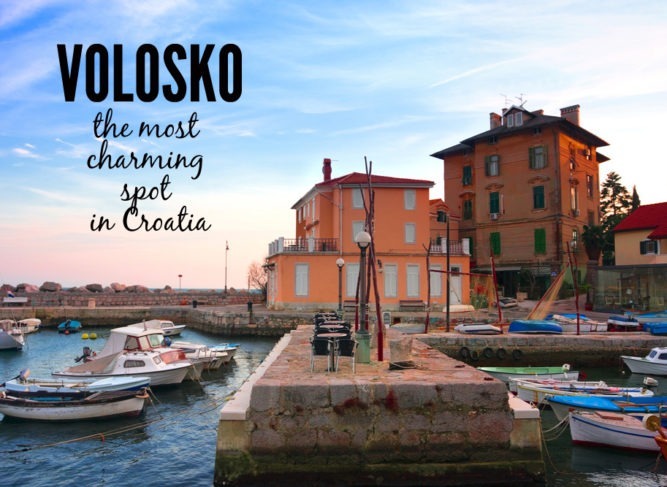 What place in Croatia have you been to and enjoyed? If you feel like saving this post for later, here’s a pinnable image. 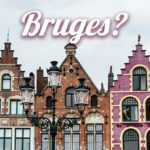 Is Bruges Really Worth Visiting?